Meredith is the marketing guru behind the brewery's distribution growth and increased brand awareness. She is also very involved with the brewery's giving back to the community. She has overseen donations to hundreds of organizations and attends countless festivals donating beer to help a good cause. 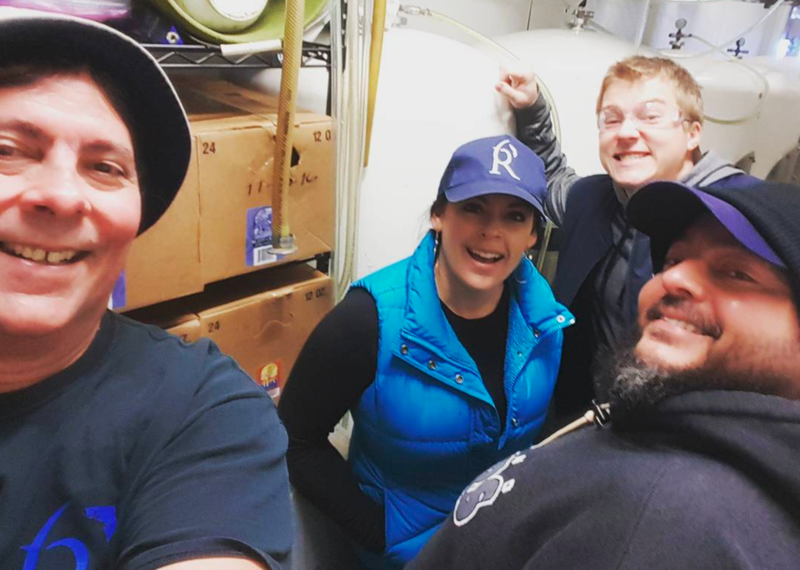 She has worked with local non-profit organizations such as the McKinleyville Skatepark and Families Advocating for Autism Now (FA.A.N) to help create specialty brews that raise thousands of dollars for these groups. She also worked closely with Carlos to create Tin Pants Ale, to commemorate Humboldt State University's Centennial Anniversary. The brewery has been a long-time supporter of HSU athletics. Along with her role as Brewhouse Coordinator, she oversees marketing and public relations for the brewhouse and restaurant. She is also an active board member of Humboldt Made, Humboldt County Convention and Visitors Bureau and the Sequoia Humane Society. Meredith received her Bachelor of Arts in Communication from University of Massachusetts Amherst. Her business experience is something she loves sharing with the next generation of aspiring entrepreneurs. Meredith is also the co-chair of the Humboldt Chapter of the Pink Boots Society.